The coalition of pro-life groups sponsoring this project have put together various educational resources for you to use during the course of the Baby Chris project. On our main page you will see links to, for example, social media resources, church bulletin announcements, and more. There will also be specific messages and images pertaining to each week of the baby’s development. Click here to view resources for each week. 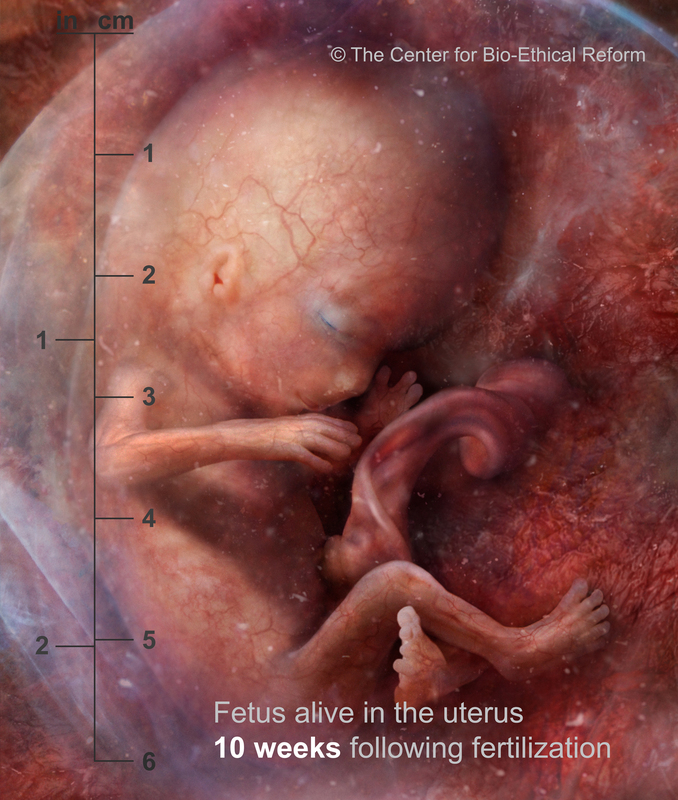 Our primary resource will be the imagery and fetal development facts found on the app called “See Baby Pregnancy Guide.” You can download it from the app store. Here you can see a video giving you an idea of what the app is like. Note on the app: When you look at the calendar of weeks, understand that the way the app measures the pregnancy is from the first day of the last menstrual period. Therefore, fertilization happens at “2”. Therefore, the information you get when you hit “2” is information about the first week of development. The information you get when you hit “3” is information about the second week of development, and so forth. Please keep this in mind when matching what it on the app to what is on this website. 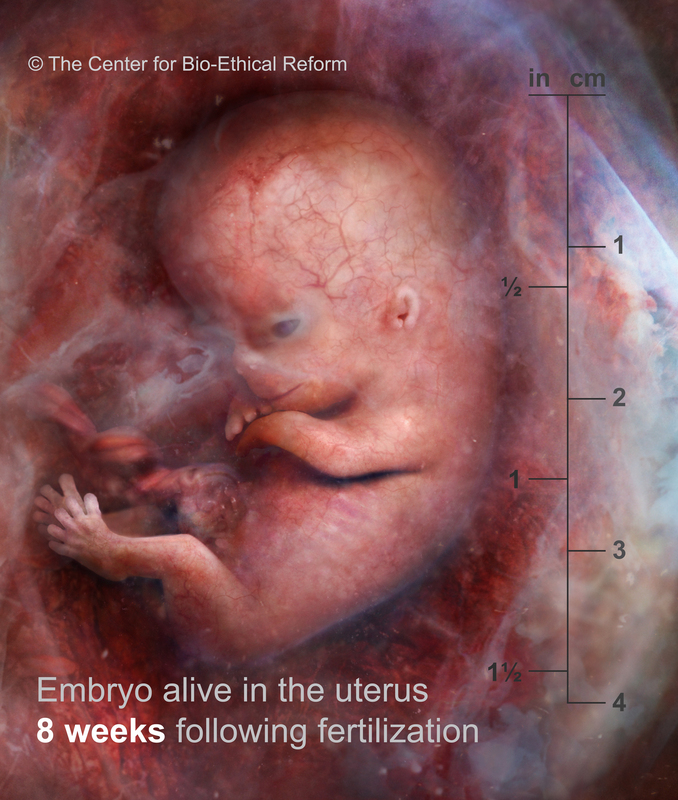 Powerful new images of the Unborn: [7 week] - [8 week] - [9 week] - [10 week]. Read an explanation of how these images were made. 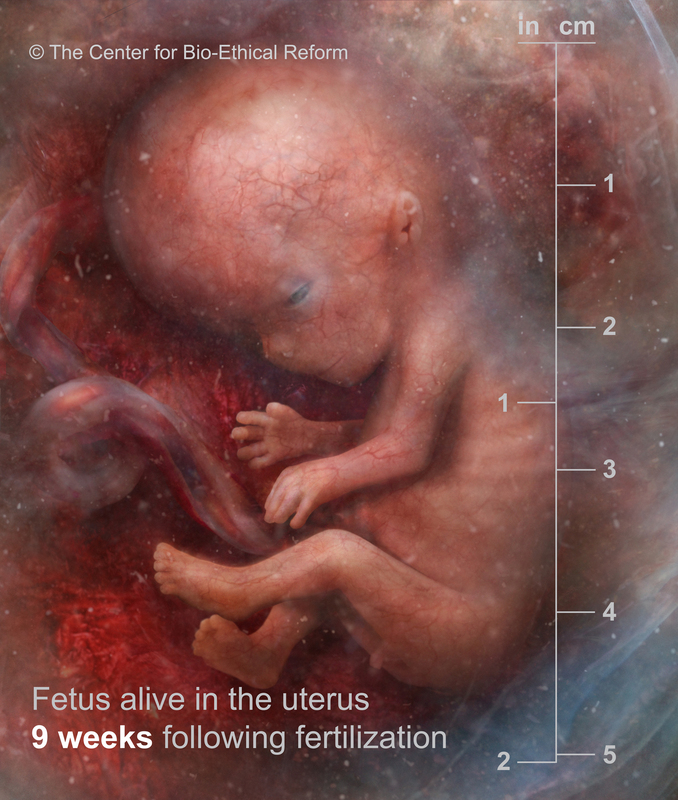 Shari Richard is a pioneer in using Ultrasound to convey the pro-life message. Here, you can view her “Window to the Heart” playlist of fetal development that can be used at various stages of this project. 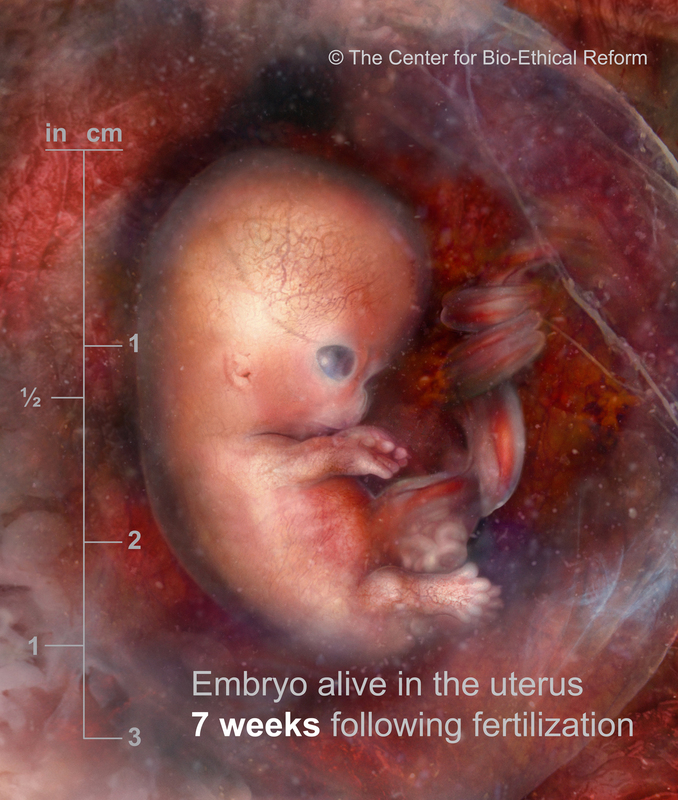 In this lesson, K-4 students identify with unborn babies through a series of experiences, including feeling their own heartbeat, seeing the unborn baby in the womb, naming similarities they share with unborn babies, making a bracelet that reminds them of when the heart begins to beat, and narrating what they learned to their parents. The goal is to help them value all human beings including the smallest ones and to get conversations about unborn babies started in churches, schools, and the broader culture. This K-4 Lesson Plan is well-suited for one-to-many instruction in religious elementary schools, Sunday school environments, and homeschool co-ops, and it's also well-suited for use by parents and grandparents in teaching their kids and grandkids one-to-one. Justice For All makes this copyrighted Lesson Plan available to anyone to use. To share it with anyone anywhere in the world, use the address www.jfaweb.org/heart-beats-like-mine. When you click on this link, you'll have to sign up as a "JFA Content Subscriber." That's free. It's just our way of making sure we can keep in contact with folks using the lesson plan.